We're always on stage, and our children are watching. For the sake of our children and other kids in our spheres of influence, we need to model healthy, genuine manhood. Sporting events are often one of the most revealing “stages” where dads exhibit their fathering. Unfortunately, many of us can remember bad examples of fathering at youth sporting events. There are no perfect fathers. We all say and do things that we later regret. But as committed fathers, we should be very aware that our words and actions are being heard and watched. We’re always “on stage,” and that awareness should add extra motivation to speak and act responsibly, or even in a way that encourages and breathes life into those around us. What kind of example am I setting? My son is watching, and he needs to know what he should aspire to become. How does a “real man” act? My daughter is watching, because she needs to know what to expect from men. My child’s friends, teammates, and classmates—some of whom don’t have a father at home—are also watching. What lessons about fathering am I teaching them? And it goes deeper than that. During these uncertain times, our kids are tuning in to everything that’s happening—and they’re watching how we respond. They need stability and security, and dads, our modeling sets the tone. Can your children watch you and see clearly that things will be okay? Change is an ever-present part of life. 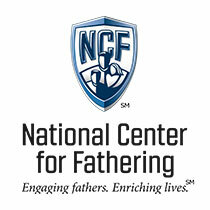 How we fathers handle the changes of life can be a big part of our modeling for our children. So do we run from change? Do we resist change and let it frustrate and anger us? Or do we view it with optimism and hope? Dad, how you behave—your calm, consistent, respectful example—will help your children answer those questions in a positive way and build a sound value system for future changes. Positive modeling involves your actions, your emotions, and your attitudes. Your modeling extends into every part of your life, if you think about it. What promises have you made to your children? Ask them if you don’t remember, then make sure you follow through. Use news events or other examples around you to talk with them about reliable and unreliable reference points for our personal and civic behavior. We're always on stage, and our children are watching. Our example is a great way to equip them with a healthy attitude toward life, changes and all. For the sake of our children and other kids in our spheres of influence, we need to model healthy, genuine manhood. Are Your Kids 'Training' You?